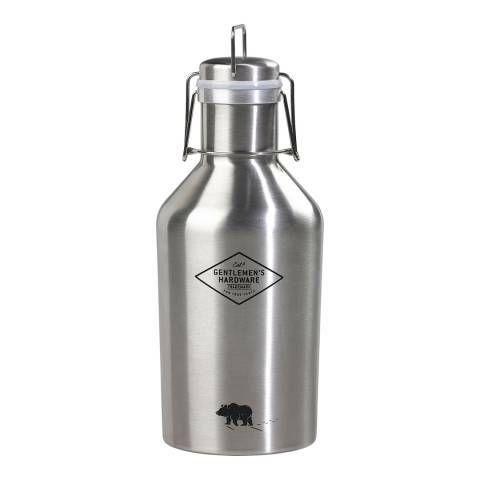 Keep your drink cool and yourself hydrated with the Gentlemen's Hardware Growler Canteen. The stainless steel growler is an essential for any adventure, holding up to two litres of liquid to keep you energised on a walk or camping trip. Secures with a leak proof flip-top lid and a handle, for easy transportation and attaching to your backpack. Complete with Gentlemen's Hardware branding on the front, the lid and base.